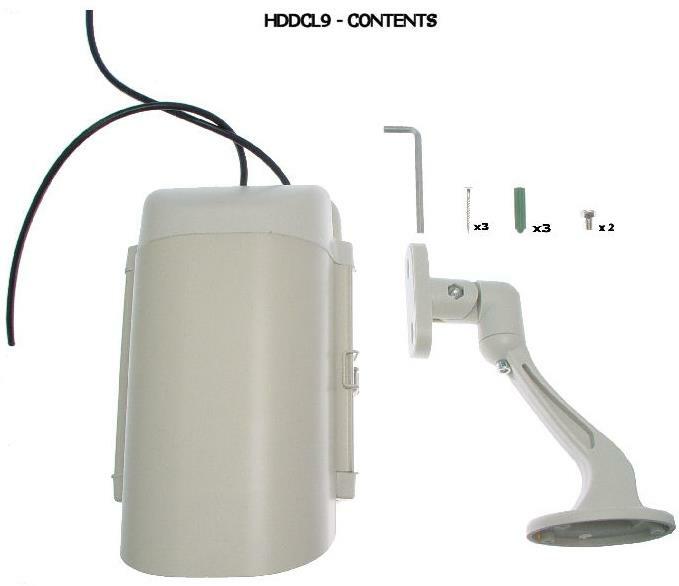 This heavy duty fake security camera in outdoor housing with light is the first of its kind to have the camera lens built into the glass front. This design keeps the camera from sliding out of place and the LED is more visible. 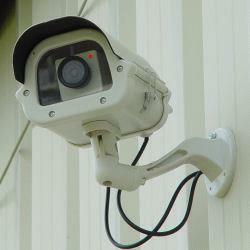 Now you can deter robbery, theft, and vandalism without the high cost of a real outdoor security camera. When placed outside your home or business, even the most sophisticated criminals will think the premises is guarded by a high-tech surveillance system and go in search of an easier target. Its size makes it highly visible during the day and at night the flashing red LED light guarantees that it will be noticed. 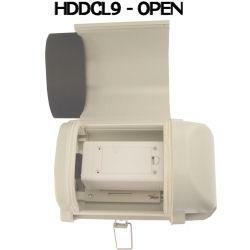 Great security for parking lots or near the front door of a home, store, or business. 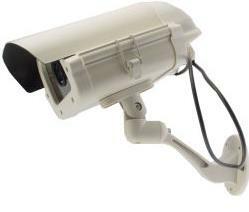 Features authentic video cable, weather proof heavy-duty metal housing, and fully adjustable plastic mounting bracket. Installs quickly and easily using the included stainless steel screws. You may also be interested in our Warnings Signs for added protection. Received the monitor on time and in good condition, it really looks real but I hope I never have to put it to a test by some breaking in. I would recommend this item very much.